← Wolf’s Baja by Craig MacIntosh. 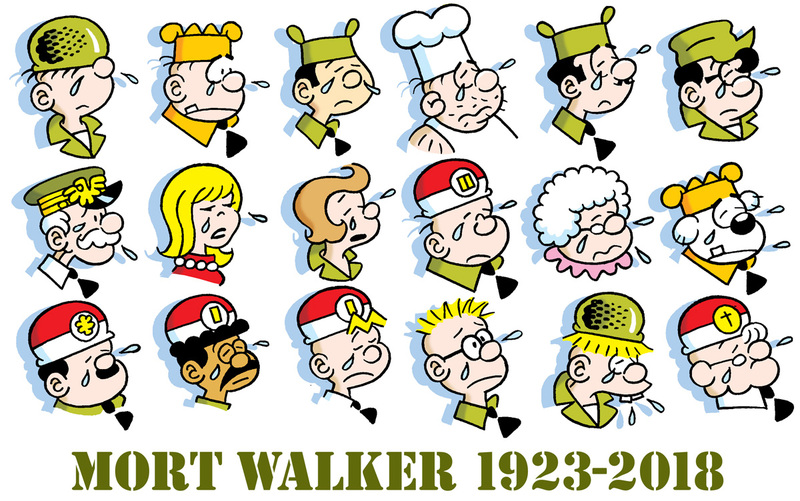 Mort Walker (September 3, 1923 – January 27, 2018). 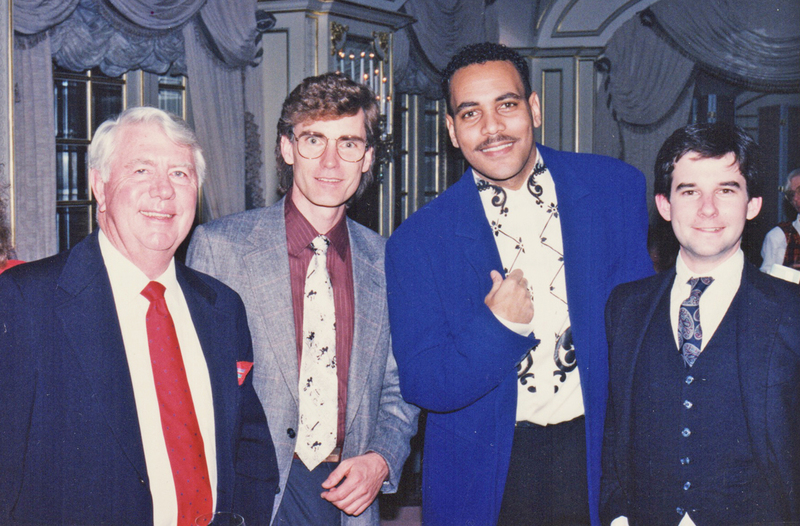 In memory of Mort Walker – My pic with cartoonists Mort Walker, Greg Evans, and Ray Billingsley. Circa 1992 at the King Features Christmas Party. I’m biting my lip in this shot because I was just the young pup on staff at King standing next to three guys in the big leagues. My hobbit like size and ill-fitting suit just adds to the magic. 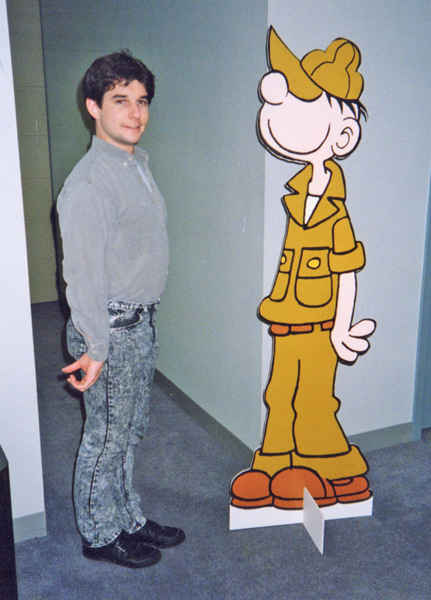 And here’s a 24-year-old Jim Keefe with Beetle Bailey up at King Features circa 1989 (when the offices were at 216 East 45th Street in New York). As the colorist on staff at the time, I colored Beetle with Pantone sheets that had an adhesive back that you’d lay down, cut out, then burnish down. I’ve been coloring Beetle for close to 30 years now (first on staff and now as a freelancer). My heartfelt prayers go out to Mort’s family and friends during this difficult time. This entry was posted in Ramblings & Reviews and tagged Beetle Bailey, Mort Walker. Bookmark the permalink.